I have always been passionate, cancer just magnified my absolute enthusiasm for having fun having every day! Rolene Sher is a mother, wife, best friend and cancer survivor. A transformation in her eating habits and lifestyle led to her healing herself of breast cancer and losing a whopping 39 kilos. Rolene is passionate about the things close to her heart whether it be healthy eating or having fun! Her boundless energy and love for life stems from her dedication to a holistic and RAW lifestyle. I always feel proud and humbled when I see people transform. It doesn’t matter how big the transformation is. We all begin with baby steps. 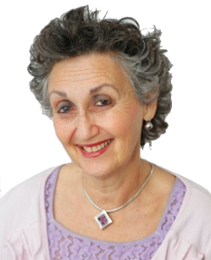 Rolene went RAW because she felt that it was of paramount importance to counterbalance the toxicity of the chemo she underwent. By consciously eating live food her body detoxified and healed itself. Rolene believes that helping others is her journey in this life and she has being doing it since she was old enough to talk. Rolene connects with and makes friends while walking down the street! And is a warm and approachable person with the gift of turning every situation into a positive experience. A healthy life is more than good food and exercise. The kind of joy that stems from leading an empowered and satisfying life. But how do I achieve joy? Whether you are struggling with your weight, emotional or health issues, RAWlean is here to guide you through your journey into a life of abundant joy and happiness. How does adding RAW foods benefit you? Remedy indigestion and high blood pressure. Ease diabetes, allergies and many other ailments. But how do you apply this concept into your own life? Isn’t it complicated? No, it is not complicated at all! In fact, it is easier than you think! RAW food is quick and easy to make. With the help of RAWleans RAW food workshops and consultations, you will become a pro at RAW food preparation! Start honouring your body, mind and soul today. See the Workshops page and join a workshop. See the Healing page to book a one on one consultation.